With the holidays approaching, I have already read numerous blogs, tweets and status updates about holiday cards, gift guides and how many shopping days there are until Christmas. I am beyond excited to share this idea with you, why not customize your own postage stamps? This unique concept by PictureItPostage will make your holiday cards stand out! They would also be the perfect gift for that person on your list who has everything! I wouldn’t mind opening my stocking and seeing a few packages of customized stamps! Seriously, you can put your favorite photo or graphic on a stamp! Can you imagine the excitement the recipient feels when he or she receives your mail and recognizes someone or something on your stamp? Now THAT is being thoughtful and going the extra mile! 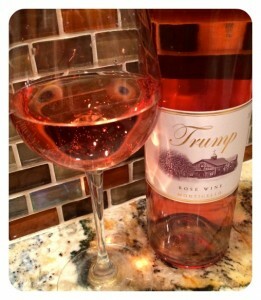 This is a terrific way to set the tone for any occasion (birthdays, weddings, holidays, etc.). You will definitely “wow” your friends and family with your unique stamp creation! I was given the opportunity to create my own PictureItPostage stamp and share my experience with you. My first question was, what do I want to put on a postage stamp? After much debate (couldn’t decide between my son or my dog) I went away from that idea completely and decided to use my blog logo. After all, I send a lot of correspondence and this is great marketing! Yes, my logo is enormous but the PictureItPostage editing features were easy to use. I eliminated my bubbles instead of shrinking the entire logo (after all, a postage stamp really isn’t very big). I love that I was able to change the background and text colors of the postage box. It was easy to adjust the positioning too, the site is user friendly. You can literally create a stamp in 3 easy clicks (mine took several more because I had fun playing with the various colors and landscaping modes). In all honesty, my two year old could have done it! You KNOW you want to create customized stamps! Visit PictureItPostage and start designing your stamps now! Use coupon code MOTHERHOOD and save $4.00 off your order (offer expires January 31, 2011). Let me know what you put on yours! 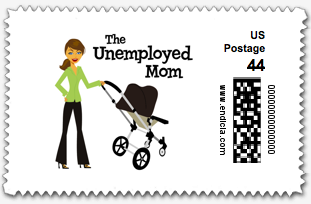 * Disclosure: Thanks to The Motherhood and PictureItPostage I was provided a code to create complimentary stamps. I am also being compensated for my time to review this product. All opinions are 100% mine.